“There have been past issues where permits were issued to operators that they shouldn’t be injecting into those zones and so we’re fixing that,” Marshall added. In “fracking” or hydraulic fracturing operations, oil and gas companies use massive amounts of water to force the release of underground fossil fuels. The practice produces large amounts of waste water that must then be disposed of. Marshall said that often times, oil and gas companies simply re-inject that waste water back deep underground where the oil extraction took place. But other times, Marshall said, the waste water is re-injected into aquifers closer to the surface. Those injections are supposed to go into aquifers that the EPA calls “exempt”—in other words, not clean enough for humans to drink or use. But in the State’s letter to the EPA, officials admit that in at least nine waste water injection wells, the waste water was injected into “non-exempt” or clean aquifers containing high quality water. For the EPA, “non-exempt” aquifers are underground bodies of water that are “containing high quality water” that can be used by humans to drink, water animals or irrigate crops. Are Regulators Ignoring California's New Fracking Law? If the waste water re-injection well “went into a non-exempt aquifer. It should not have been permitted,” said Marshall. The department ended up shutting down 11 wells: the nine that were known to be injecting into non-exempt aquifers, and another two in an abundance of caution. 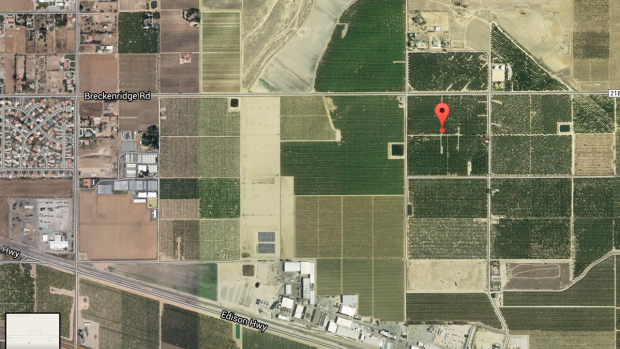 That well is located in an area with several homes nearby, right in the middle of a citrus grove southeast of Bakersfield. This well is one of nine that were known to be injecting waste water into "non-exempt" aquifers. It's located just east of Bakersfield. State records show waste water from several sources, including from the oil and gas industry, has gone into the aquifer below where 60 different water supply wells are located within a one mile radius. However, state officials tested 8 water supply wells within a one-mile radius of some of those wells. Four water samples came back with higher than allowable levels of nitrate, arsenic, and thallium. Those same chemicals are used by the oil and gas industry in the hydraulic fracturing process and can be found in oil recovery waste-water. “We are still comparing the testing of what was the injection water to what is the tested water that came out of these wells to find out if they were background levels or whether that’s the result of oil and gas operation, but so far it’s looking like it’s background,” said James Marshall from the California Department of Conservation. Marshall acknowledged that those chemicals could have come from oil extraction, and not necessarily wastewater disposal. “But when those (further) test results come back, we’ll know for sure,” Marshall said. When asked how this could happen in the first place, Marshall said that the long history of these wells makes it difficult to know exactly what the thinking was. Kern County’s Water Board referred the Investigative Unit to the state for comment. California State officials assured the EPA in its letter that the owners of the wells where chemicals were found have been warned and could ask for further testing of their drinking wells.